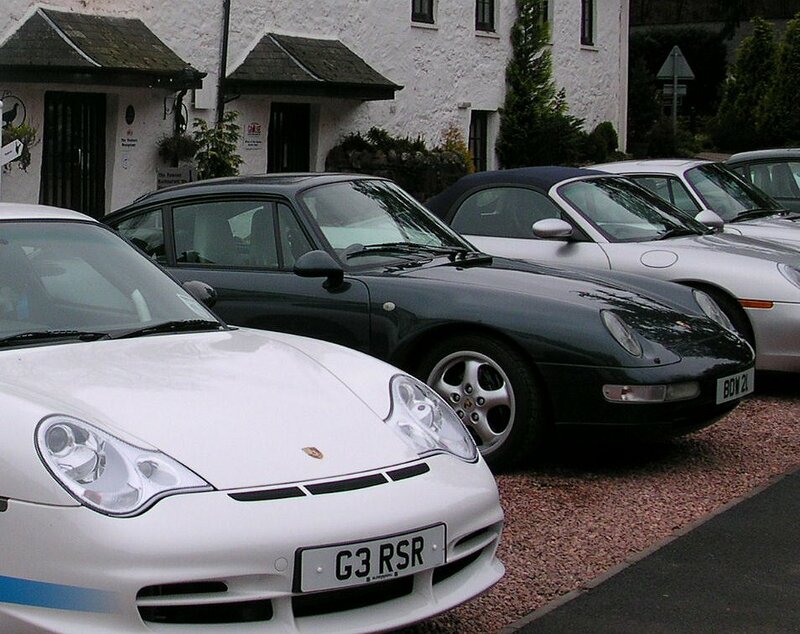 I'm Brian Wood, the former Regional Organiser of the Porsche Club in Scotland, and I have a problem. 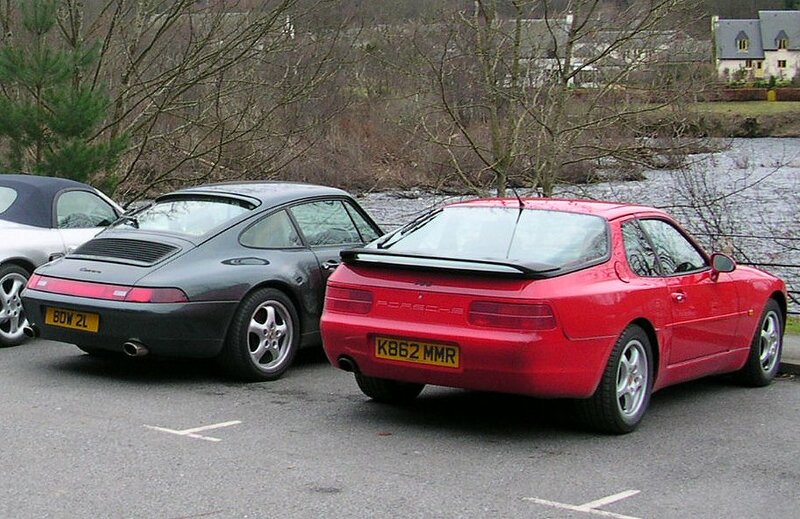 I have one Porsche too many! 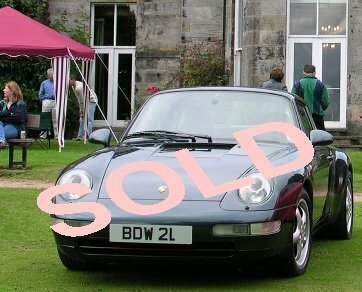 Much as I love my fabulous 993 Carrera 2 Tiptronic, I have been seduced into buying a Boxster 550, so I'm afraid my pride and joy is up for sale. 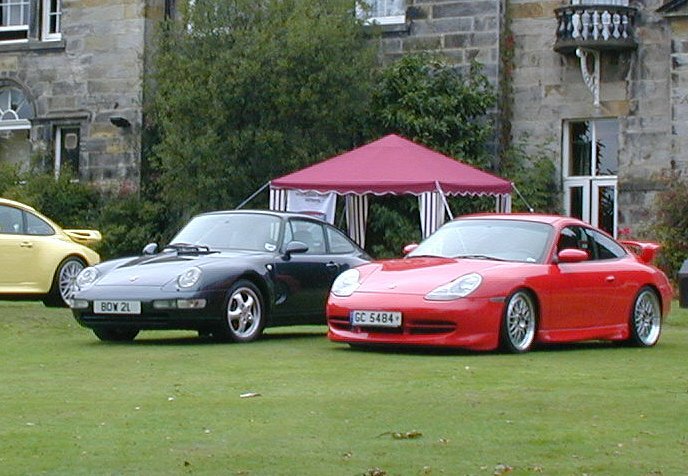 This is my car, pictured at the Porsche Club's annual Scottish concours event last year. 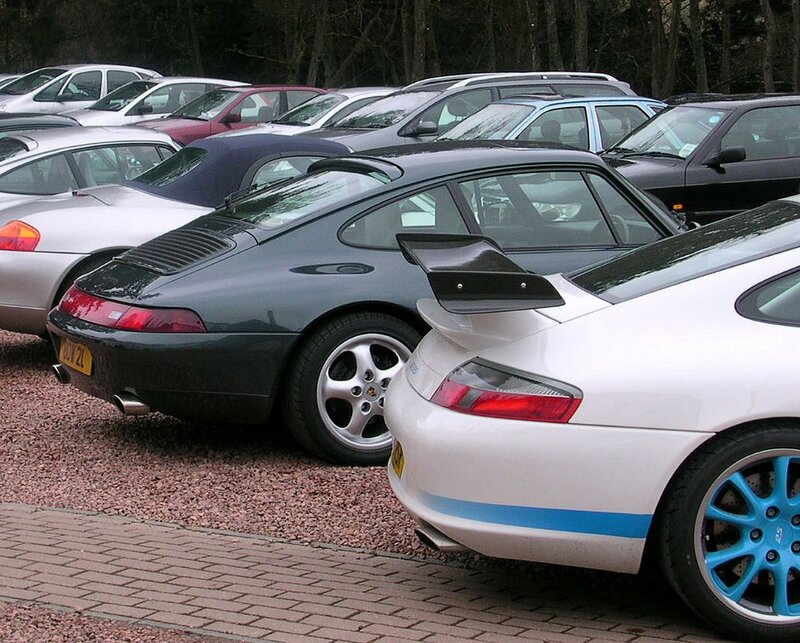 The car is a 1996 model 993 Carrera 2 Tiptronic, (first registered Dec 95) with the later Varioram engine, generally considered to be the best air-cooled engine ever built by Porsche. To date it has done only 64,500 miles, and has a full service history with the Official Porsche Centre, and one service with a respected specialist. I have all the old MOT's to validate the mileage, it is taxed till the end of Jan 2006, and will be sold with a full years MOT of course. The Cup 2 wheels have recently been professionally refurbished, colored crest centres, and new Continental tyres fitted all round. It has a factory fit electric sunroof, and all the usual electric mirrors, windows, etc that you would expect on a Porsche. Call me on 01355 233482, or e-mail at brian.wood2@tiscali.co.uk for more details, or to arrange to view the car. 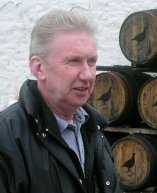 I am based in East Kilbride, near Glasgow. For anyone interested from England, Glasgow is only 1 hour and £45 away on Easy Jet, and I'll even collect you at the airport.